Voting Counts wants encourage young adults to #VoteLocal in May 2019. Hello, I'm Rachael! I founded Voting Counts in 2014 after my friends were constantly asking me why they should vote and whom they should vote for. I wanted to create a website my friends could go to and learn about the importance of voting, as well as compare the parties and learn about elections in an unbiased way rather than hearing an often one-sided opinion from friends, family and the media. Over the past four years I've built and expanded the website, using my own funds and the help of some dedicated volunteers. It's grown very quickly too - on the day of the 2017 General Election we had over 31,000 people visit the website! 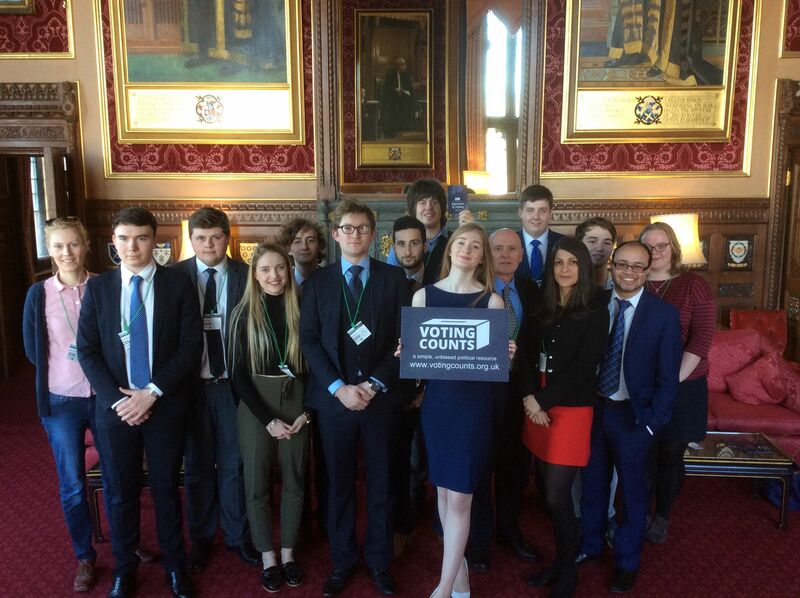 We've won the 2016 Pure Potential Award, 2017 UK Parliament Award and the 2018 National Democracy Week Award. Voting Counts has also been featured widely in the press (see a full list here). On the 2nd May 2019, much of England will be heading to the polls for the local elections, however turnout for local elections is notoriously poor. The BBC estimates that in last year's round of local elections just 36% of voters turned out to vote. Why is this important? Well, your local authority has control on many of the services you see and use every day, including housing, transport and public spaces. 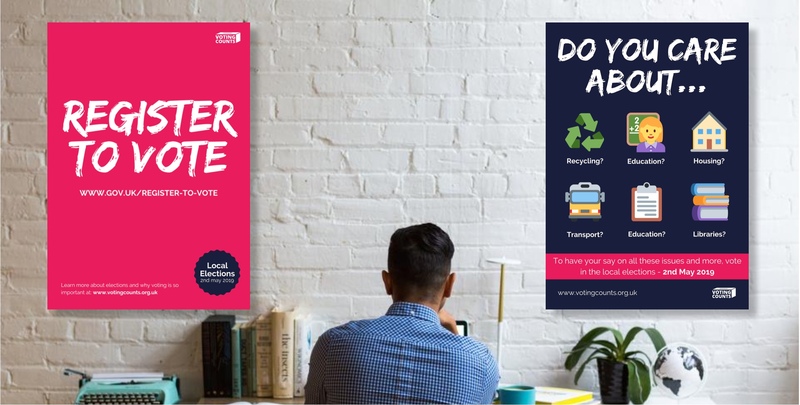 Choices made by the council will have a visible impact on your community, so you need to make sure that you’ve been part of choosing who makes these decisions. We want to make sure that more people (especially young adults) engage with these elections and have a say about who is running their local community. 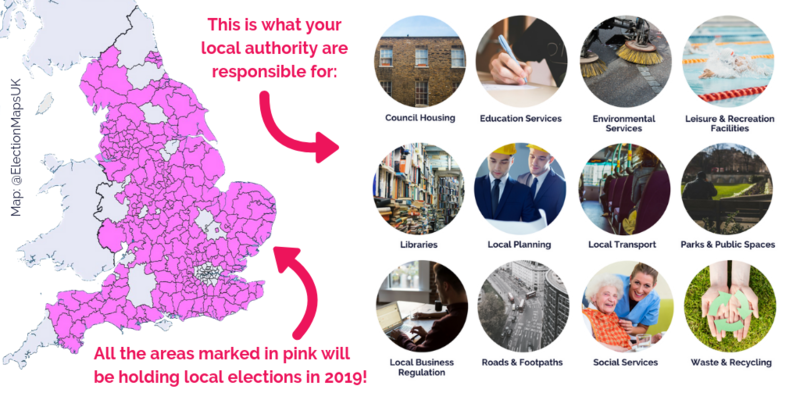 This year we're encouraging people to #VoteLocal, but to do so we need to educate people about the importance of engaging with local politics. We're fundraising so that we can create promotional material and run social media advertising in the run up to the election.  We'd also love to do some creative video content if we raise enough money. In the past, all of our campaigns have been run using my own funds and a few small (and very kind) donations. Money is usually spent on promoting the website on social media, helping to maximise the number of people we reach. To help spread the word even further, we've come up with some 'rewards'. Not only does purchasing these rewards help our fundraiser, but you can also use them to help promote voter registration and engagement! These will be shipped out a few weeks after the fundraiser ends - plenty of time ahead of the April voter registration deadline. A pack of 80 double sided beer mats - perfect for your student union, pub or bar. 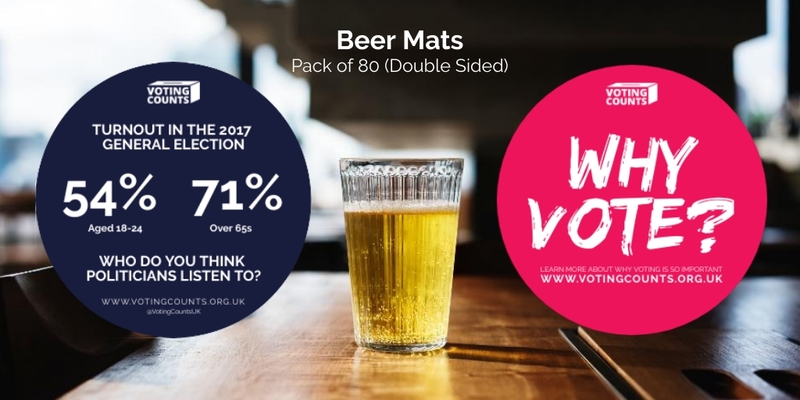 These two sided mats demonstrate the importance of voting by highlighting the difference in turnout between 18-25 year olds and over 65s (source). The other side points them in the direction of our website, where they can find out more information about elections and voting. These beer mats are not local election specific, meaning they can be used in the run up to any election as the message is consistent - unfortunately young adults don't vote as much as older generations. Want less/more than 80? Get in touch! These A2 posters can be displayed around your school, university or community. They are specifically designed for the upcoming local elections, and promote voter registration and engagement in the elections. Make sure you pick which design you'd like to receive. These posters may be subject to slight changes, as we perfect the wording, but the imagery and design will not change. Any suggestions you have for how we can improve them are always welcome! How can I get involved? There are so many people involved in Voting Counts; some just get involved at election time, others write articles on topics they’re interested in and a number of people get involved more permanently. If you’re interested in getting involved in Voting Counts, just drop us an email! There is lots to get involved in, meaning you can dedicate as much or as little time as you have available! FYI: This is a 100% voluntary project, I do not earn any money from the donations to Voting Counts. Every penny goes towards the cost of manufacturing the products and maintaining/promoting the website. Also: Thank you to @ElectionMapsUK for supplying the election map graphic. Get a pack of 80 beer mats, perfect for your student union, pub or bar. 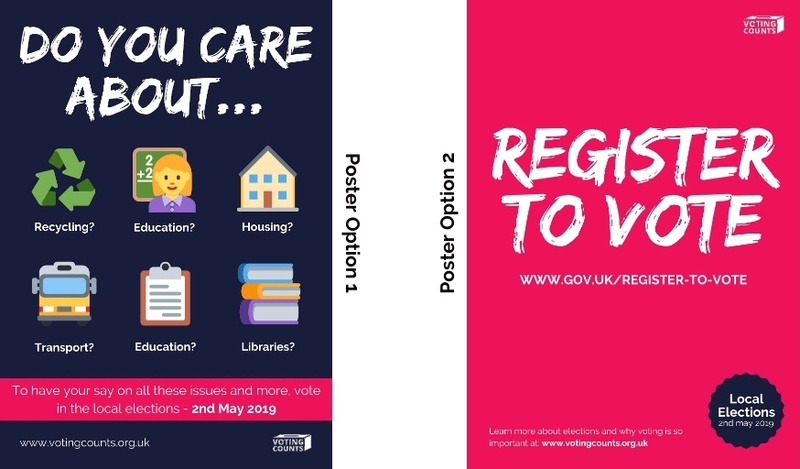 These two sided mats demonstrate the importance of voting by highlighting the difference in turnout between 18-25 year olds and over 65s. The other side points them in the direction of our website, where they can find out more information about elections and voting. A personalised thank you note, delivered to you once our fundraiser is over. Get four of our A2 posters (420mm x 594mm) Just choose which design you'd like. These posters can be displayed around your university, college or community. Get six of our A2 posters (420mm x 594mm) - three of each design! These posters can be displayed around your university, college or community. Get 8 Posters (4 of each design) and 100 Beer Mats! This package is perfect for totally kitting out your college or university.